Pope Francis kisses a child as he arrives in St. Peter’s Square to hold his weekly general audience on Wednesday. Pope Francis compared abortion to hiring a “hitman to solve a problem” during his weekly general audience Wednesday in St. Peter’s Square at the Vatican.”But how can an act that suppresses innocent and defenseless budding human life be therapeutic, civil or simply human?” the pontiff said. Pope Francis delivers his message during his weekly general audience in St. Peter’s Square on Wednesday. It’s not the first time the Pope has spoken out on abortion, a practice that goes against the traditional teachings of the Roman Catholic Church. In June, he compared having an abortion to avoid birth defects to the Nazi-era idea of trying to create a pure race. 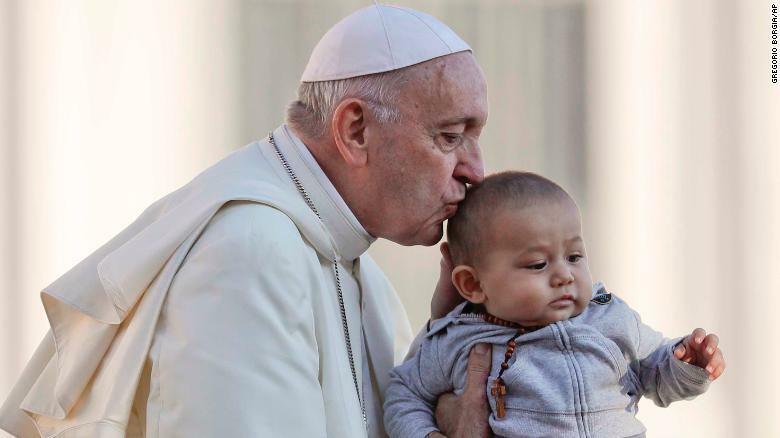 “I have heard that it’s fashionable, or at least usual, that when in the first months of pregnancy they do studies to see if the child is healthy or has something, the first offer is: let’s send it away,” Francis was reported as saying in remarks to Italy’s Family Association in Rome. The Nazi quest for a pure race by allowing only healthy children to be born, known as eugenics, included abortion and the sterilization of people with physical and mental illness. 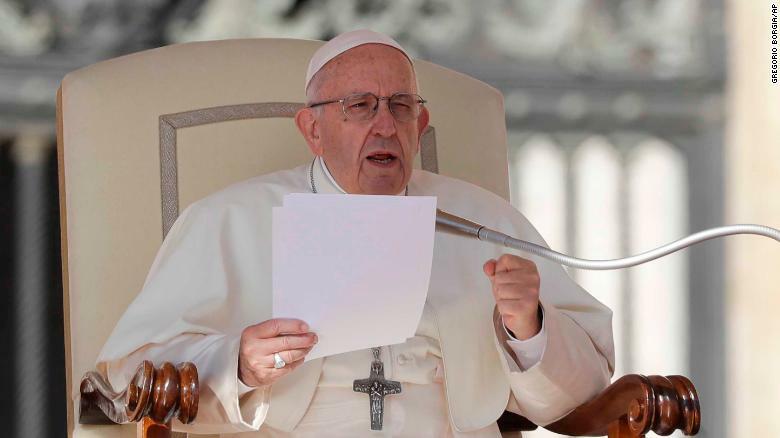 The pontiff’s earlier comments came just days after the lower house in Argentina, the Pope’s homeland and a majority Catholic nation, approved a bill to legalize elective abortion. The bill was subsequently rejected by the Senate, dashing the hopes of abortion-rights advocates. Ireland, another majority Catholic nation, last month formally repealed a constitutional amendment that banned abortion in the country, following a resounding referendum vote in favor of changing the law.